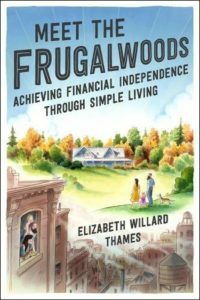 It’s not every day you read a personal finance book that’s approachable, friendly, filled with great advice, and doesn’t make you feel guilty about prior financial missteps. 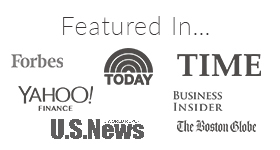 Shannon McLay’s “Train Your Way to Financial Fitness” (affiliate link) accomplishes just this feat. 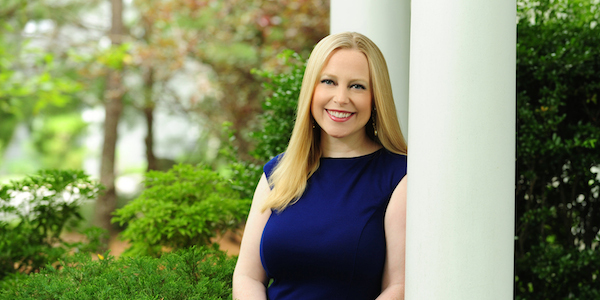 I had the pleasure of interviewing Shannon about her recently published book, which helps readers identify where they are on their financial journey. Strategies for concrete improvement plans for each level of financial fitness (skinny, fat, and fit) are outlined along with illustrative case studies and stories from McLay’s career as a financial advisor and founder of Next-Gen Financial. 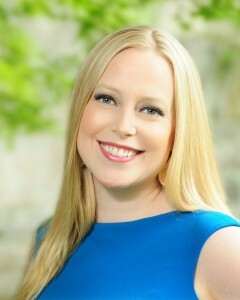 Shannon’s wealth of knowledge also stems from her awesome blog Financially Blonde, which is a personal favorite of mine. I hope you’ll enjoy our interview and check out Shannon’s book for yourself! Mrs. FW: You are nominated as the only woman in the “Best Financial Planner Blog” category of the Plutus Awards for your blog Financially Blonde, which I think is fantastic. I was struck by this fact and you mention in the Introductory Chapter that during the course of your career in financial services, “80 percent of financial advisers were men” and that you were “frequently the only woman in the room.” How did that unique experience guide your approach to writing “Train Your Way To Financial Fitness”? McLay: Ha! Isn’t it funny how my 80% number even works with the Plutus awards?! When I was training to be a financial advisor, I watched numerous male peers give sample presentations on what they would speak about with clients and it struck me that I felt they were “missing something” in their presentations. They were all very good at explaining the numbers, asset allocation, fees, etc., but they didn’t always cover the intangible aspects of people’s finances. They also only seemed to know how to help people manage their wealth, but had no idea how to advise someone on actually building their wealth other than saying things like “You need to spend less” or “You need to be saving more.” It’s easy to say these things, but very difficult to apply them in real life. My book helps address these challenges. Mrs. FW: Did you write this book with a specific goal of targeting women? McLay: I actually did not specifically target women (or at least I don’t think I did) because I feel as though the message works the same for everyone. I have clients who are men and women and the same rules apply no matter what your gender. I see emotional spenders or frugal minded types on both sides. Mrs. FW: Your writing is very approachable, friendly, and informative. I particularly appreciated your reiteration throughout the book of creating a “judgment-free zone” to discuss finances. What compelled you to take this tack? McLay: My life coach told me a few years ago that people just want to be seen as themselves, without judgment, no matter who they are and the greatest gift that you can give someone is to let them be who they are, it’s freeing. This message resonated with me and it is a part of my practice. We all have money challenges, but if we can’t feel free to get honest about those challenges, then we can’t fix them. I help my clients get honest and then it’s easier to get results. I truly never judge them, I care too much for them and only want them to succeed and my judgment would detract from their success. Mrs. FW: Related to espousing a judgement-free zone, your writing is so inspirational and thoughtful that you’re really a financial therapist. You help people see the root causes of their financial problems and you work on people’s entire lives–not just their finances. Do you consider yourself a therapist in this sense? Mrs. FW: I enjoyed the quiz portion of the book–it was fun to take and reflect on my answers. I was happy to see that I’m “Financially Fit,” but I was even happier that your chapter geared toward the “Financially Fit” is not just a pat on the back. You gave us tasks to do and ways to improve! What are some of the ways that you think financially fit people will benefit from reading this book? McLay: Ha! Not surprised that you are Financially Fit. I can guess people’s types without the quiz. But just like physically fit people need to constantly work on their physical health and well-being, I believe that Financially Fit people do as well (even if they don’t believe it themselves). I am sure my credit card strategies will rub some Financially Fit people the wrong way since they mostly love to be debt-free; however, by employing credit, you can make more money and allow your spending (that you would naturally do) benefit you financially. I also see a lot of Financially Fit clients get savings fatigued and it leads to a lot of unhappiness. It’s only fun to be Financially Fit if you enjoy your results. 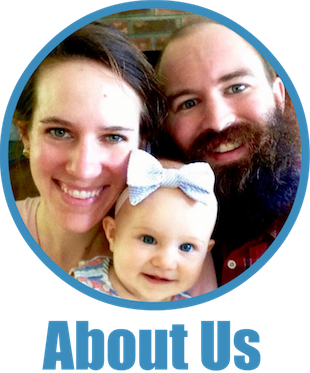 Mrs. FW: In Chapter Five you talk about your personal journey from physical and financial “fat” to “fit.” In what ways did this personal experience shape your approach to the “Financially Fat” section of the book? McLay: My journey gave me a strong insight into the Financially Fat section. I think one of the reasons why I am so successful with my clients is because I completely understand them. I know their challenges and I know why they have been blown off course for various reasons. I have been there myself, and I truly believe that I was meant to experience my own personal financial pains so that I could be of better assistance to others. I would hate when I read personal finance books that told me what to do but not necessarily HOW to do it. In this book, I hope I address the how and not just with pie in the sky suggestions, but with real helpful solutions that will work, and I know they will work because I have employed many of them myself. Mrs. FW: What is one piece of financial advice you find yourself giving repeatedly to your clients, your blog readers, and your book audience? McLay: Believe in yourself. We are all capable of doing amazing things in life but we let our own self-doubts or self-lies get in our way. I have seen clients make dramatic changes they never thought were possible ALL the time. There is nothing better for me than getting to witness this. It’s like I have a front row seat for the best show in town. I believe in my clients and that helps them believe in themselves, but we should all believe in ourselves. Wonderful things, financial and otherwise, happen when we do! Mrs. FW: Apparently this is a humor blog. Therefore, please tell a joke :). McLay: Ha! And a humorous blog it is! Here are some of my favorites. Here is a joke about finance: Why did God create stock analysts? In order to make weather forecasters look good. And because I have a sense of humor about my blonde hair, here’s a blonde joke. 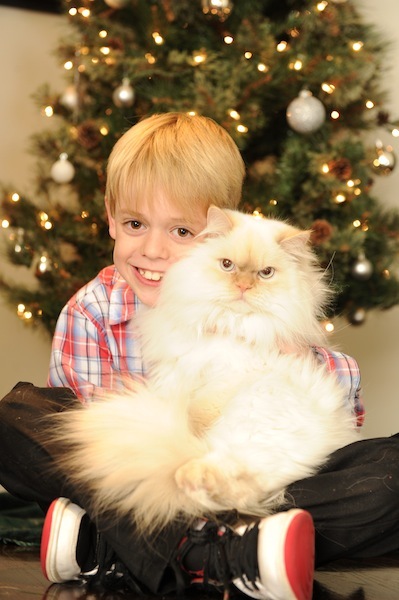 I want to thank Shannon for allowing me to interview her (I’m grateful she trusted me since the last time I interviewed a member of her family, it was her cat Spumoni). 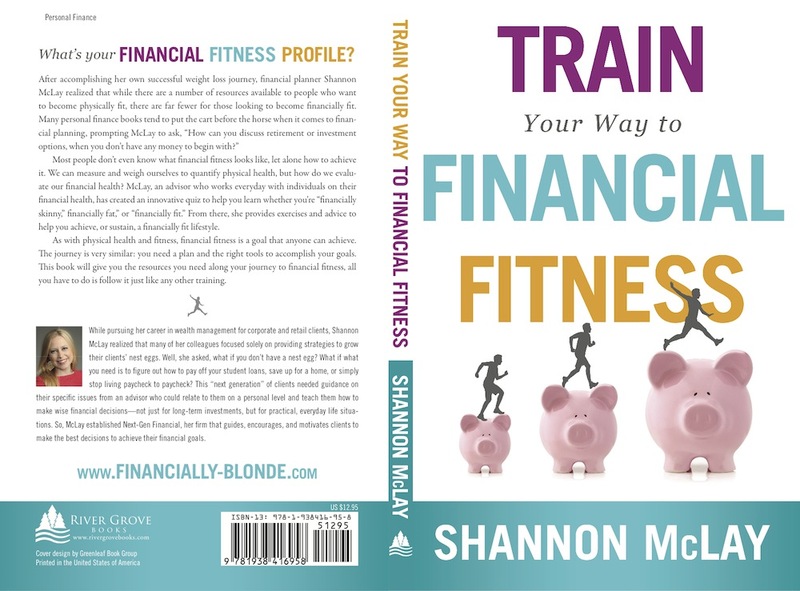 Shannon’s book, “Train Your Way to Financial Fitness,” is available to purchase here (affiliate link) and her awesome personal finance blog is Financially Blonde. I envy for you for having interviewed Shannon McLay! I envy for you for having interviewed Shannon McLay! I am a fan of her book that really define my skills in handling my finances and has made an impact on me. It’s an awesome book, I’m glad I got to interview Shannon! Great interview =) Can’t wait to meet everyone at FinCon! It’s so great to see your book getting lots of attention Shannon! Congrats and I hope it does well! I hope so too! It’s a fabulous read! I really enjoy learning more about you, Shannon. I really like your discussion about “financially therapists” – I definitely believe that your finances are a reflection of yourself, so if you’re not a good place, then your finances aren’t either. Absolutely! The element of financial therapy is such a powerful part of the book! I loved the questions you asked! And the responses, of course! 😉 Excellent name your son has, by the way. Thanks, Will! I agree with both of you, Will is a great name. Adding Shannon’s book (and blog) to my reading list. Thank you! I’ve added the book on my to-read list. Thanks for sharing. Fabulous! It’s a great read! This was fun to read! I can definitely see Shannon as a financial therapist. Money is so entangled with our emotions, it makes sense that there’s some psychology behind financial planning. And I love the judgment-free zone bit. Too many people pass judgment these days without blinking an eye (myself included, work in progress!). Mrs. FW, I think you and Frugal Hound need to have a podcast where you just interview people. You’re both very skilled at the art of asking questions ;). I NEED to read this book! I know I keep saying it, but this has to be the one book that I actually sit down and finish in a reasonable amount of time. Shannon is awesome and I was lucky enough to have her as a writer for 10 weeks! Yes, you do need to read this book :)! And, agreed, Shannon is definitely awesome. Triple thumbs up for the interview! I so love this book Shannon, aside that the title is really catchy “Train Your Way to Financial Fitness”, I know 101% sure that this is totally worth to read! Oh good! Definitely a worthy read–enjoy!